I love short work weeks. There’s something about being able to know that you only have a few days to get the same amount of work done. It makes me more productive! But, I have to be honest. I’ve had a lot on my mind the past couple of weeks. I can’t mention them now, but I’ll be sure to mention them when I can. So today’s What I’m Wearing Wednesday is pretty random because my mind is jumbled! 1. I’m loving my dress I purchased for my bridal showers, bachelorette and rehearsal dinner! It’s very similar to the bridesmaids’ dress, except its short and ivory. It’s a convertible dress so I only had to purchase 1 dress but can wear it a bunch of different ways and no one will know….except for the fact that I’m telling everyone! 2. The Divine Addiction – This website is written by Lisa Vanderpump’s daughter, Pandora. They have great class and I’ve just discovered it. There are articles on fashion, beauty, recipes, workouts and guides to LA. It’s worth a read. 3. Arrested Development on Netflix – I wasn’t a huge devotee of the show originally, but with all the hype, we started watching it. It is an unique and funny show and I was pretty excited to watch the newly released season. We watched 2 episodes and my favorite part was that Kristen Wiig and Seth Rogan play characters!! Love them! And that’s it…only 3 this week because I’m so exhausted and wrapped up in my own world. Sorry about everything. I promise I’ll share everything when I can! Man, this week is flying by. And boy do I have some great stuff to share this Wednesday. 1. 98 Degrees’ new CD. Apparently, I’m in a music kick. Now, I will say that this CD is completely cheesy. It definitely sounds like all their other albums, which seems a little weird since 3 of the 4 guys are married with children, but, what can I say, I love Nick Lachey!!! In 6th grade, my “boyfriend” bought me a 98 Degrees book because I was so in love with them. And since I’m from Cincinnati, I thought I could be Nick and Jessica 2.0. Oh well. 2. MY LEGS! This may sound really weird, but I have always really liked my legs. I used to just like the look of my legs, but now I love the power my legs have. 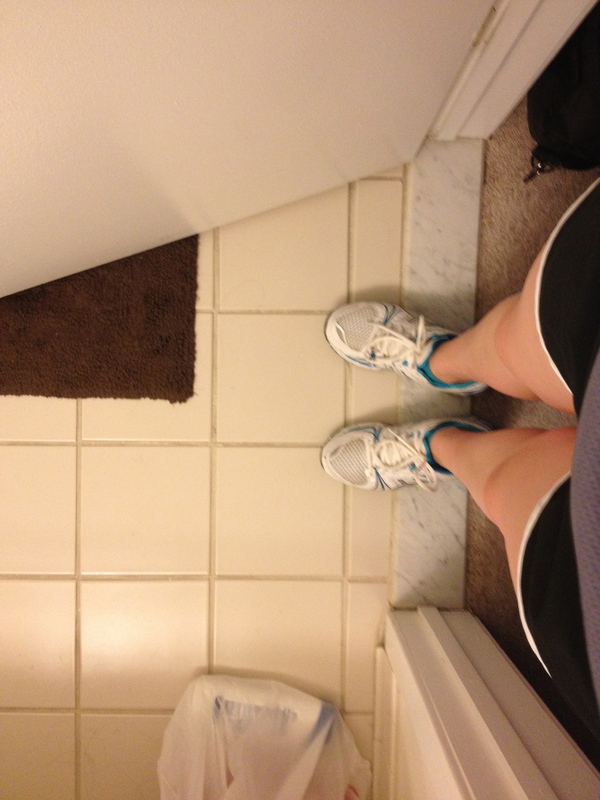 The fact that my legs let me run for miles at one time, it makes me feel proud. They may be short, but they are mighty! 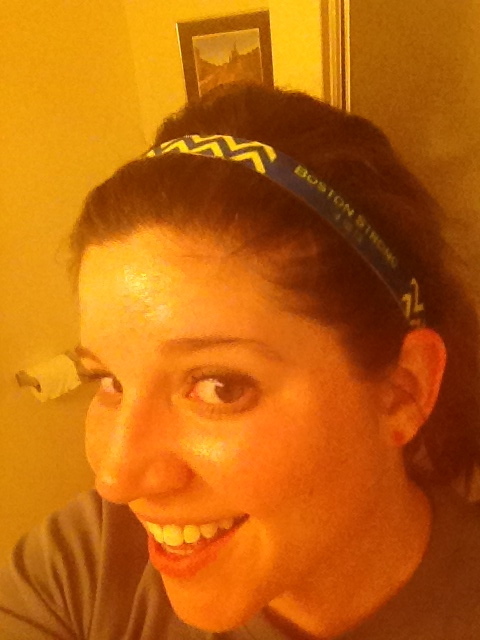 I also love that my quads are getting stronger and I don’t feel them jiggle when I run. 5. This video of the most precious puppies EVER! My favorite is the smart wiener dog with the fetch contraption. I am a sucker for puppy videos. 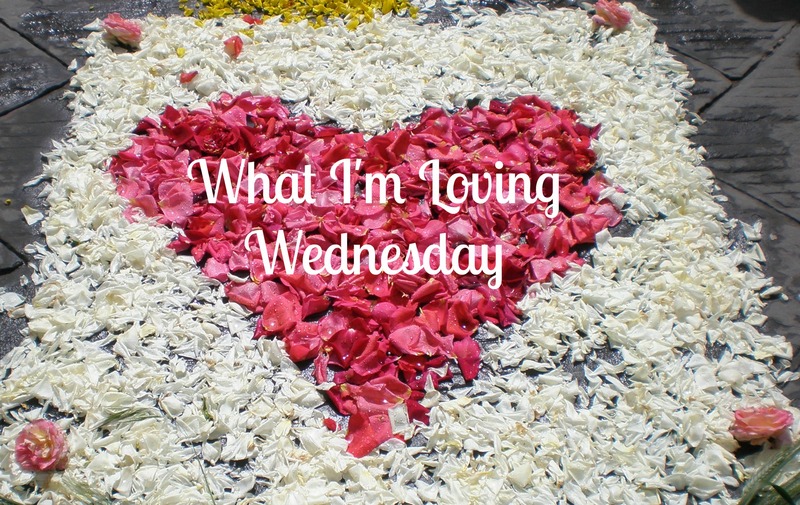 Welcome to the first installment of ‘What I’m Loving Wednesday.’ Here I will list some things that I’m currently loving!! 1. Who knew Kareem Abdul-Jabbar watched The Real Housewives of (insert any city)! He wrote this incredibly intelligent, beautifully written article on Huffington Post. It is definitely worth a read! 3. All things 30 Rock. The man and I watch at least 2 episodes per night before going to bed on Netflix. 4. Reading Lean In. 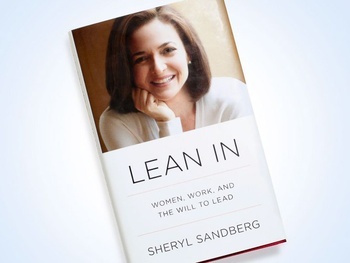 I just started reading this book by the Facebook COO, Sheryl Sandberg and it is awe inspiring. Every time I pick it up, I want to drop everything and follow my dreams. I guess that’s the point, right? When I’m finished, I’ll most definitely be writing a recap! (probably in the ‘What I’m Loving Wednesday’ series)! 5. 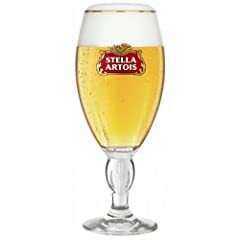 And last but not least, I’m loving drinking Stella Artois. It’s so crisp and clean, the perfect summer beer!